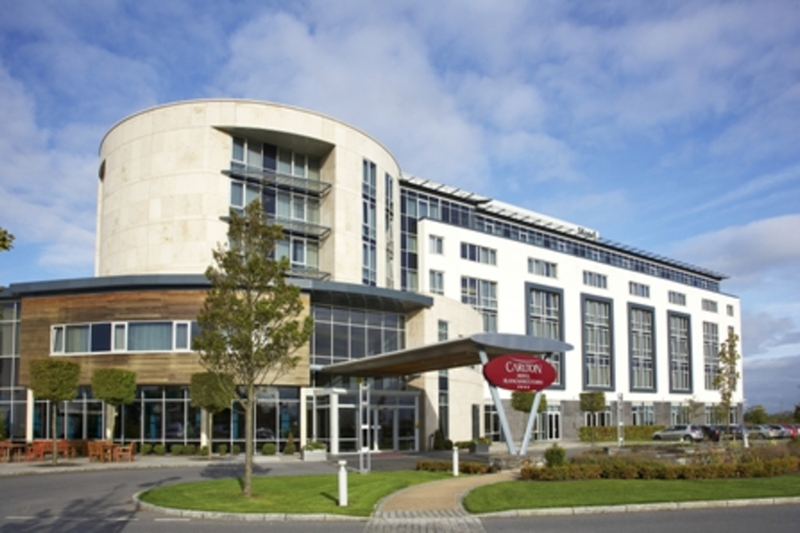 The Carlton Hotel Blanchardstown is located in the heart of Dublin 15, within short distance of the Blanchardstown, Ballycoolin and Damastown corporate parks and in close proximity to the National Aquatic Centre, Tayto Park, Blanchardstown Shopping Centre and Fairyhouse Racecourse. 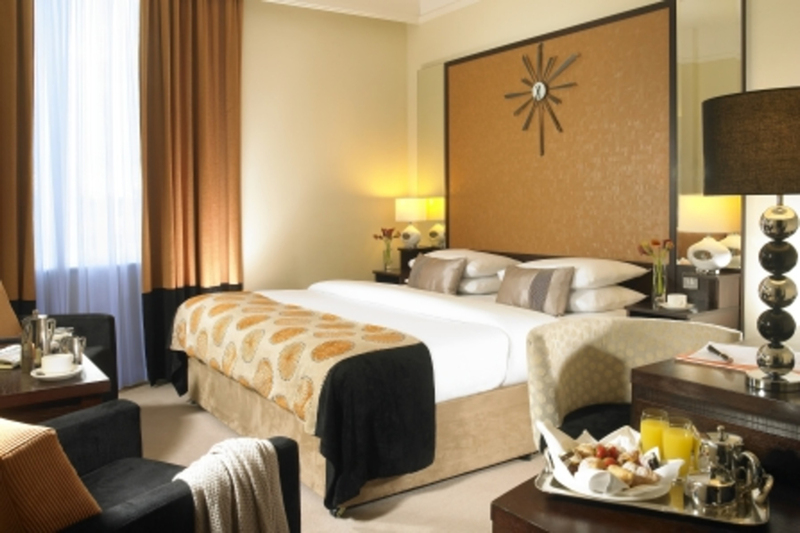 This four star Dublin hotel is conveniently located close to the M50, M2 and M3 motorways, making it easily accessible from all major routes across the country. Furthermore, its close proximity to the capital opens up vibrant opportunities for theatre trips, museums, concerts and the buzzing nightlife for which Dublin is famous. 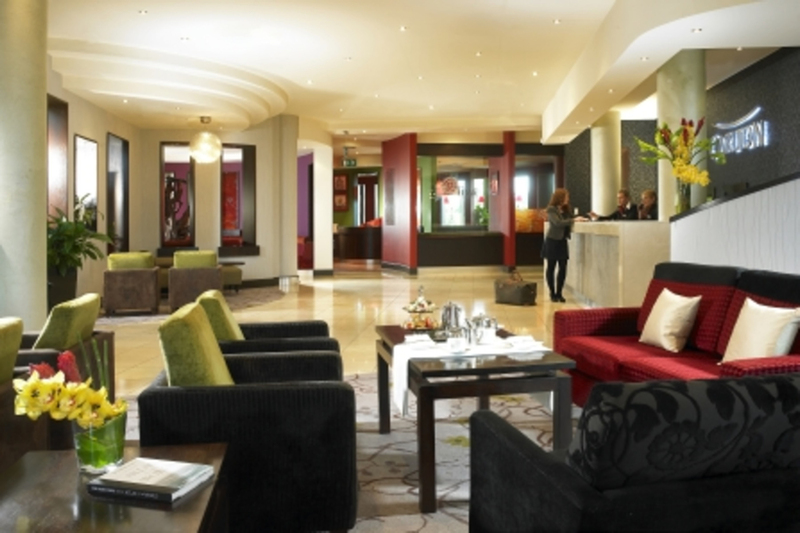 For guests travelling for business or leisure, the Carlton Hotel Blanchardstown, offers complimentary car park, gym access and WiFi connectivity. Payment Policy - PLEASE READ CAREFULLYACCEPTED PAYMENT OPTIONS: â€“ On Check-in guests will be asked to specify which payment method they will provide. We accept: VISA CREDIT, VISA DEBIT, MASTERCARD, AMEX, MAESTRO, LASER and CASH. Credit Cards: Guests wishing to pay with a Debit Card or cash will be required to do the pre-authorisation of the credit card at check-in. This means that funds are reserved and guaranteed by your bank for completion on your departure. You will be asked to present your card again at check-out and only then will the payment be made by your bank. Please note a triple room consist of two twin beds and a roll out bed. Family rooms consist of 1 double bed and 2 camp beds. At the top of the road take a left onto the Ballycoolin Road, continue straight on. At the roundabout, continue straight through; Blanchardstown Corporate Park is on your right. At the end of the road at the lights take a right; continue straight through the first roundabout. Take a left at the second roundabout into Tyrrelstown Town Centre. The hotel is located off the second roundabout on the right hand side. The hotel is also close to the Ballycoolin Business Park, Damastown and Blanchardstown Corporate Parks which are home to IBM, Xerox, Symantec, Paypal, Ipsen, GLS and many more multi-national companies. This is a lovely hotel. The bathroom was huge. The king size bed was really 2 singles put together and quite hard but fine. The camp beds for the kids were very uncomfortable. You could feel the springs coming through. We put the quilt on the mattress to make it more comfortable. The room was very comfy with cozy furniture and a nice decor. The bathroom was huge. You can control heat/air which is great. We only had breakfast here. We had called beforehand to check if they had gluten free food and were assured they had. However, the breakfast was limited - no cereal, but we did get a boiled egg, gluten free bread, fruit and beans. The manager on duty went above and beyond to try to accommodate us and for this reason we still give it 4 stars. The check in was extremely slow and the key cards failed to work twice. The front desk staff were lacking. Everything about this hotel was great, from the friendly staff, excellent family rooms and amazing breakfast. Looking forward to staying again when I next travel to Dublin. The facilities were well up to standard, big rooms, good bar and the breakfast was very nice. excellent hotel enjoyed our stay !!!! Very impressed with the hotel and especially their breakfast offering. Family friendly services, with nicely appointed bedrooms. Location is a little remote, but would stay here again and would recommend this hotel to others. Stayed at this hotel for 1 night only last Saturday. Booked a family room which was a good size with a separate little bedroom for 1 off the main bedroom. Room was spotless and bathroom was very modern. Check in as easy, charged for kids breakfast which I didn't have an issue with as they stayed in room for free. Breakfast had a huge selection, smoothies, fruit, granola pots, parma ham, cheese, a selection of pastries and all the usual hot items as per typical Irish brekkie. Selection of Breads. Didn't eat in the hotel by night, we dined at TGI Fridays near the shopping centre and this was excellent too ! Would definitely come back to this hotel, for what we paid we got outstanding value. Checkout was very fast, handed back the keys and off we went. Car Park was big with plenty of space. I thought the hotel was very far out when u read directions you think it is near blanchardstown shopping centre it's way out €30 by taxi ! No housekeeping in the room no beds dressed no bins emptied no bath towels or tea /coffee replaced. Very bad I would not return. The room was lovely and spacious - twin room and very clean. Our television didn't work which is disappointing. The breakfast was not great. They didn't have muesli and the eggs - both scrambled and fried - looked like rubber. They didn't have any pots of tea. You just helped yourself to a cup of tea. It was the poorest breakfast I have had in any hotel and we had to pay €10 for a child's breakfast. All in all disappointing and not good value. Very convenient to Dublin Airport and to Businesses in the general Blanchardstown and Northwest Dublin area. High quality rooms. Breakfast begins a little late though if you are doing business in the city centre or going to the airport for an early flight. They weren't willing to accommodate a request for an early breakfast either which was disappointing as I had paid for breakfast. Stayed one night in a family room which was very comfortable and well equipped. The staff of the hotel were very welcoming and helpful. The food was very nice with the breakfast being one of the best i have ever had in a hotel. The exterior of the hotel requires some attention. The only downside was that I requested my dinner to be brought to me as quickly as possible as I had an engagement to attend elsewhere but the dinner was still slow which would have suited if I had not been in a hurry. The double room consisted of 2 single beds pushed together. Fantastic stay. Would recommend to all! Great staff. Fantastic family room. Quiet evening on Saturday night. Will visit again! Niall - Stayed in the hotel recently and it was only ok. Check in was woeful and had to argue that our stay was for two nights dinner and not one. Rooms were ok but could do with a bit of TLC. Food menu was also ok but on second night the waiting time from entry to starter and for main course was far too long. They offered a complimentary bottle of wine but the damage was already done by then and the food was not that hot. Floor staff were polite and courteous. Overall it was a bit of a disaster. We have stayed here a number of times and the experience has ranged from great to ok. We have found it to be understaffed when an event is on. The food in the bar hasn't changed at all and breakfast is hit and miss. The location is great for us as its close to shopping center without being to close. Lots of parking. Rooms good size but some need a little TLC but that is to be expected in any hotel. Most staff are very friendly but things have a habit of running late e.g. lunch on Sunday on ad is at 12.30 we were still sitting with large group at 13.00 waiting for it to open. Residents bar is hit and miss and this is a sticking point for us - its open its not, you can go in/you cant even when in hotel. On this visit we saw a lot of new features including a screen behind reception and learnt that there is a gym which residents can use first time we heard of it and its over year we have been using this hotel. Overall its good for short stops e.g. shopping trips, food is good, rooms are clean, lots of parking we will stay again but for the price dont expect to much. Stayed in the hotel for one night on a shopping trip to blanchardstown. Lovely spacious room, double and two single beds, huge bathroom with separate big shower and bath, large walk in wardrobe where we could put all our shopping bags!! Food in the bar was fabulous and lovely breakfast in the morning. Friendly staff, will defo be back. The bedroom was lovely. Food in the bar and breakfast in morning just about average. Hotel is quite difficult to find. very good value for money, clean room, great food, excellent parking facilities. A little far out, but excellent hotel. Nice and quiet at night. Excellent food, lots and lots of free parking. Very helpful, friendly staff. Stayed 14th November 2015. Stayed for one night with my 14 year old daughter as the location suited us. My main complaint is that the water was cold which was very disappointing after a long drive. I didn't dare have a shower in the morning but my traveling companions said it was still cold. Hot water is the most basic requirement in any hotel from 1 to 5 star. I overheard other customers complaining at the desk about the lack of hot water and when I mentioned it at check out time, the lady at the desk acted surprised, wrote down my room number said she'd let maintenance know. Then she asked if everything else 'outside of that' was excellent. It was as if I was doing them a favor by telling them about the lack of hot water. No acknowledgement was given to the fact that we had a horrible, cold shower....I used the hair dryer to warm up. We spend 2 nights in Carlton hotel in a family room ,kids had a great time in kids club ,food was nice . Only one thing is missing in this hotel,it is a swimming pool . This hotel is overrated. 3 of us stayed in a triple room on the 2nd floor that included 2 single and 1 pull out bed. Room was very small and beds and cheap pillows were very hard and uncomfortable. Rug in the room was dirty and lifted from the floor. When we arrived at the hotel around 9 pm their was nobody at the front desk and it was approx 10 mins before someone appeared from a room behind the desk to check us in. Good choice of breakfast. Overall, I was very disappointed and expected more from this hotel. Stayed In Carlton Hotel Blanchardstown for a 2 night break. Had a very enjoyable visit. Hotel really modern and clean, staff very helpful and friendly. Bedroom and bathroom excellent, very spacious. Definately will use this hotel again. Lovely hotel. The bedrooms are great. The bathrooms are really big with a separate shower and bath. The breakfast is really good, tasty, good variety and lovely surroundings. A bit of a drive from Blanchardstown retail park. Good place to stay for Tayto park visit. The staff are friendly and efficient. Not too crowded or noisy. We really enjoyed our stay. Excellent. Very clean, friendly staff, great value, lovely food, great location, very happy. Excellent hotel. Friendly helpful staff, great food in a quiet location. Just 10 minutes from Blanchardstown Shopping Centre and 5 miles from Dublin Airport. directions to hotel were not good and there are no signpost. We found the easiest way to get there was to go to the Blanchardstown Shopping Centre, then through Mulhuddart. Probably the best thing is to phone the hotel in advance. Can't wait to go back! Very friendly efficient staff and great value for money. The buffet-style breakfast was excellent, as was our evening meal. The room was clean and en-suite very satisfactory. Will return. We had our "gathering" here on our wedding anniversary and a couple of things happened because of the Carlton staff.... 1: It was a great location all you could need was in the hotel and its grounds. 2: When they heard that it was our anniversary and not only a family gathering they up graded us to an executive suite. 3: The staff could not do more for all 17 of us they were so helpful and so attentive and caring. 4: the food was excellent in the bar and restaurant and breakfast was exactly as I like it lots of choice and piping hot. 4: All 17 of us will be back. could not fault it from reservations to check in to regretfully checking out First class. We stayed for a 2 night mid week break and it was fabulous. Hotel room spotlessly clean and fabulous clean bathroom. The food was delicious, both breakfast and dinner. We would recommend to others and would stay there again. Top marks. Started well with very pleasant greeting from reception desk. We stayed in double superior room, very clean, bathroom spotless and I mean absolutely spotless and bedroom to very good standard. Ice machine on floor was nice touch. All the staff were very pleasant, dinner/breakfast/bar/cleaning teams were all polite, smiling and helpful. I would certainly stay there again and will certainly try other Carlton hotels. Lovely modern hotel with friendly staff, rooms on the fifth floor more spacious but also stayed on the fourth floor and the room was appropriate sized. Quiet location but within driving distance to all major locations through the motorway network. Couldn't fault it. Very friendly staff. Rooms spacious and comfortable. Food to a very high standard although I did notice that there was a supplement if you want an omellete for breakfast !! !